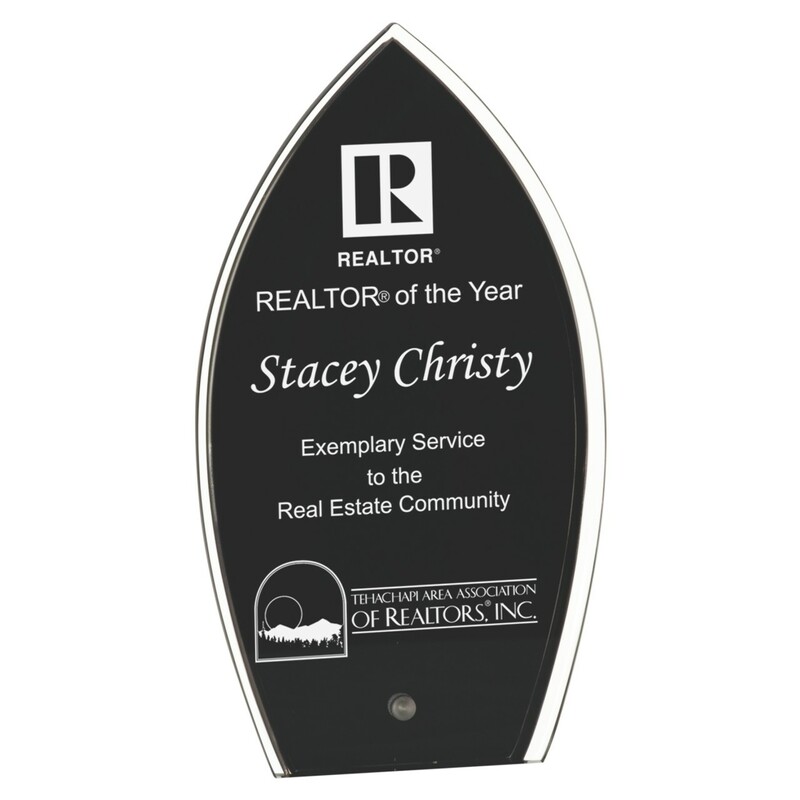 Our Black and Clear Spire Economy Acrylic Awards have a unique design that includes a metal pin for standing on a desk or shelf. Available in two sizes this clear edged acrylic has a black face to showcase your text and even a company logo. All laser engraving is included in the price of this attractive economy award.